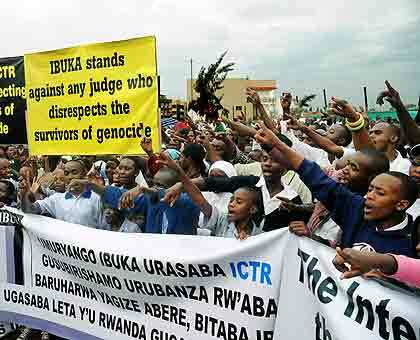 Isn’t this another stark reminder that we, the survivors of Genocide against the Tutsis in Rwanda, need to keep calling for reparation against those who made the extermination of over 1 million Tutsis possible? Should we wait for 70 years to sue the Government of Rwanda and its donors in 1994 including but not limited to IMF, World Bank, a dozen French and Belgian banks and countries such as France, Egypt, South Africa, UK, China, …that sold weapons to the genocidal government violating the UN arms embargo on Rwanda? No Somebody needs to do something and the sooner the better! Its decision to “learn, honor and remember in an enduring way” followed a campaign by Salo Muller, whose parents were murdered at Auschwitz. SNCF eventually apologized for its role in 2010 and later agreed a compensation fund after US lawmakers threatened to bar the state-run company from rail contracts. NS has already apologized in the past for its role in helping the Nazi occupiers in World War Two and has contributed to the renovation of the museum at Westerbork. What was the Dutch railway’s role in deportations?